Small son and I both enjoyed more than 300 years of history come to life when we were up on the roof at the Vyne near Basingstoke the other day. 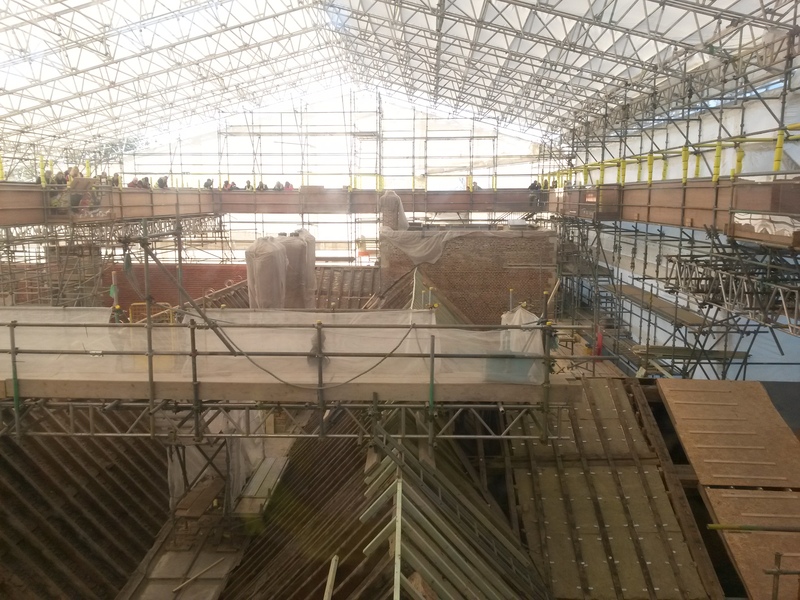 The National Trust property is spending well over £5m on fixing the roof of this Tudor mansion and have installed a frankly incredible rooftop walkway allowing visitors to see the layers of history as they take the roof off and put it back on. There’s a lift that takes you above the roof level so you can peer down at the work that is being carried out. 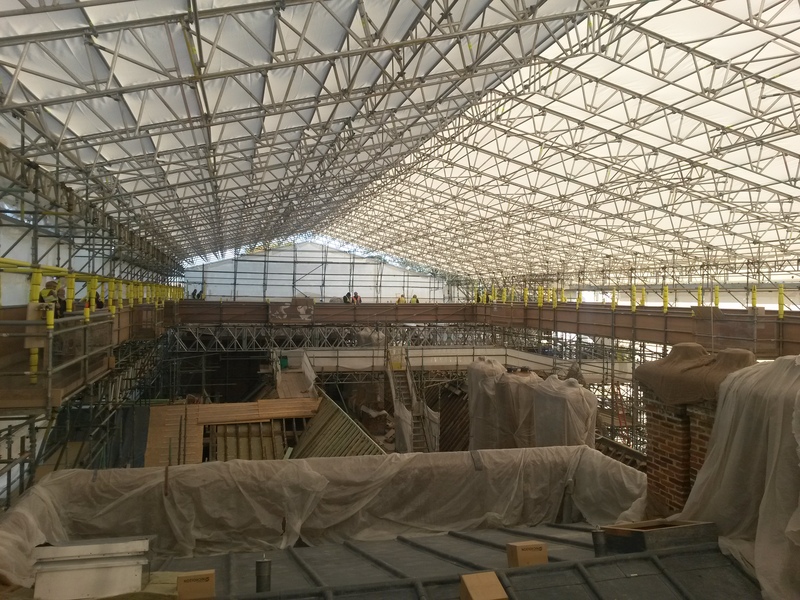 A comprehensive walkway takes you all around the roof so you can see the work as it unfolds on the chimneys, tiles and stacks. 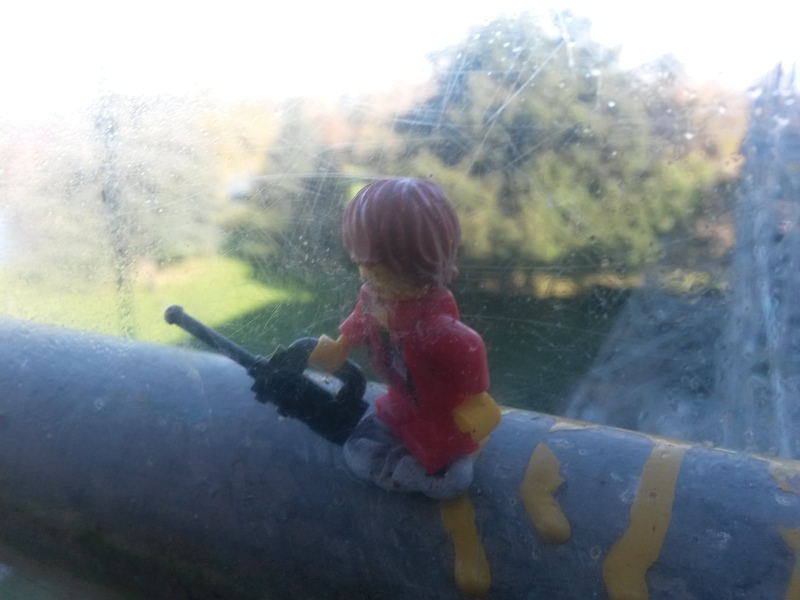 Small son was impressed with that, but what was a very nice touch was the placing Lego workmen that you can find dotted around. We also loved the opportunity to throw money down the drain – literally! Guests are invited to throw a pound coin (or smaller change as we didn’t have any!) down a drain pipe and you can hear it trundling its way down to the ground. Extraordinarily satisfying and we weren’t the only ones who thought so as this little invention has brought in something like £12,000! 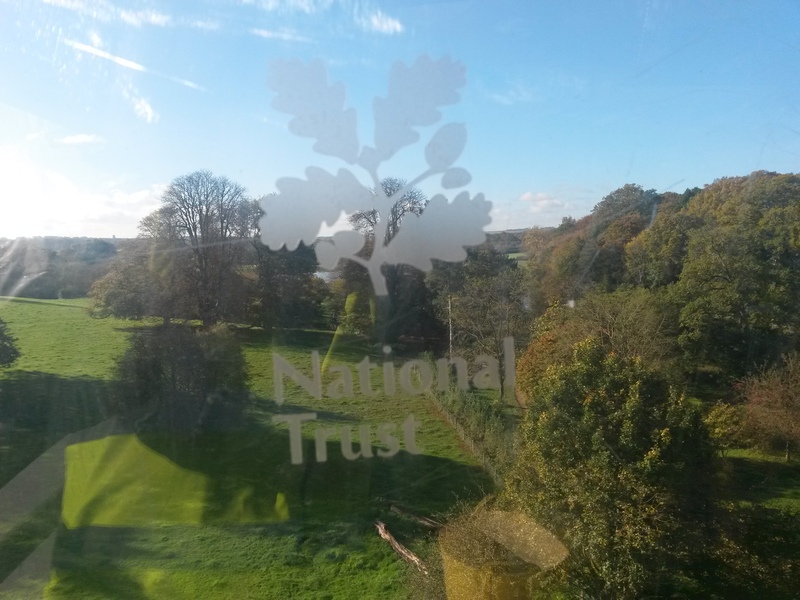 As well as the chance to see the improvements as they happen, there’s a fabulous view over the estate and you can also design your own tile that will go up on the roof and should be up there for the next 300 years at least!